Monday is a spinning class and an hour of Pilates. Tuesday is the Insanity Workout DVD. Wednesday is an hour and a half of yoga. Thursday is weight training with my workout buddy Cheryl. Friday is an hour and a half of African dance. And Saturday is my rest day. Then on Sunday I start the rotation all over again by hitting the gym for an hour. Exercise has always provided me with a way to relieve stress, get a good sweat and feel good about myself. There are some weeks when my routine changes slightly and I cannot get it all in. Some days I may just take a 20 minute brisk walk outside. The important thing is I incorporate some form of exercise into my life on a daily basis. It is as regular as brushing my teeth or showering. My body needs it; and so does my mind. When I don’t get my exercise, I feel depressed and tired. Exercise gives me energy and lifts my spirits. There are many elements in life that can wear on our minds, bodies and spirits. It is extremely important to relieve ourselves of these elements before they begin to take a toll. Find something that you enjoy physically and stick to your program. Whether it is basketball; roller skating; running … the possibilities are endless. Simply carve out a few minutes each day to exercise; then watch how your life and body changes. 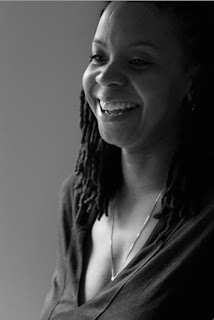 Mysti Cobb, personal trainer and licensed massage therapist, is the owner of Blue Girl Wellness in Chicago. I begin each morning by drinking a cup of room temperature water with a squeeze of half a lemon. Not only is it a refreshing way to start my day, it helps improve the performance of my liver; aids digestion; boosts immunity; and helps keep my skin free of blemishes. “According to Ayurvedic philosophy, choices that you make regarding your daily routine either build up resistance to disease or tear it down.” -Ashley Pittman, wellness educator. Want to learn more about this simple little “Morning Ritual?” Check out Why You Should Drink Warm Water & Lemon. Spring is in full swing and we’re getting in gear with a 1 to 3 day juice cleanse starting Friday, March 30, 2012. We would love for you to join us! You’ll have 4 days to prepare. And, don’t worry, we will be sure to post reminders on our Facebook and Twitter pages. If you haven’t already, be sure to connect with us. For those of you who are beginners, a one day cleanse would be a great way to try it out. And you may even discover that adding another day or two is not as difficult as you may think. According to juicing experts, the longer you are on a juice cleanse the better the results. But, if you are new to this, we encourage baby steps. If you are a pregnant or lactating woman; a person with diabetes and other serious health conditions then a cleanse may not be right for you, right now. If you have questions, ask your physician. To make things easier we have chosen 3 local (if you’re in the Chicago area) organic juicing cafes that will prepare your cleanse for you. Prices vary, but the most reasonable is Earth’s Healing Cafe at 1942 W. Montrose Ave., Chicago, IL 60613. Their cleanses start at $37.50 per day. There is also Peeled Chicago at 1571 N. Sheffield, Chicago, IL 60614. Their cleanses start at $65 per day. And, then there is Juice Rx, which will deliver to you! Their cleanses start at $85 per day. If you own a juicer, that’s great! Check out this blog: My Juice Cleanse for recipe ideas. Let’s us know if you decide to get on board. Post a comment here or on our Facebook page. Author Wholistic SkincarePosted on March 25, 2012 January 26, 2018 Categories WellnessTags Juice Cleanse, Juicing4 Comments on Spring Cleansing!